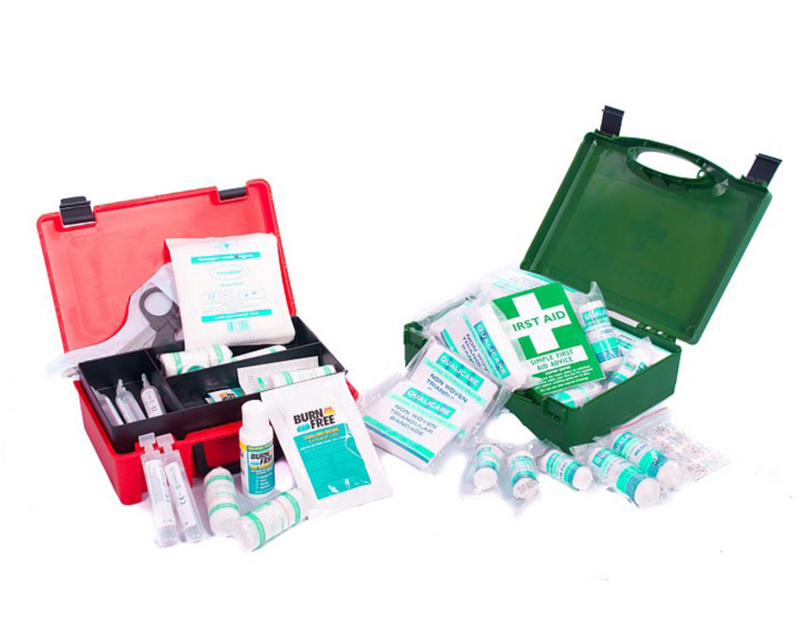 Selecting and Maintaining First Aid Kits in your workplace can be a minefield, with different types, standards and sizes available. Here’s our top ten tips to help you choose and maintain a first aid kit! You Need one! Having a First Aid kit in your workplace is a legal requirement. Regulation 3 of the Health and Safety (First Aid) Regulations 1981 require employers to have First Aid provision in their workplace. Carry out a First Aid Needs Assessment. The size, contents and number of First Aid kits in your workplace should be determined by the results of your assessment. For example does your workplace have specialist hazards, is there a history of particular type of injury? Buy kits from a reputable supplier. Good quality First Aid materials are essential when administering treatment to casualties. NEVER include medicines. First Aid Kits should NEVER include any pills, potions, lotions, or liquids. Eyewash is permissible in travel First Aid kits or in kits that are remote from a clean fresh water supply. Initial Checks. Unpack and thoroughly check newly purchased First Aid kits to ensure they are fully stocked and are not boxed up or are inaccessible during an emergency situation. Familiarity with Kit Contents. Ensure First Aid Personnel are aware of and are familiar with the contents of the First Aid kits in the workplace. This will allow them to locate and use equipment in a timely manner when administering First Aid treatment. Location, Location, Location. Place First Aid kits in a prominent location where ALL employees can easily find and access one in an emergency situation. For example it shouldn’t be hidden in a drawer or cupboard or locked office. Check First Aid Kits regularly (weekly, monthly etc) to ensure they are fully stocked, the components are in date, the kit is clean and the box is secure and undamaged. Kits need to be refilled after they have been used, to ensure that the kit is fully stocked ready for the next time it is needed. Damaged Kits should be replaced. This may involve just replacing the actual box or the box and its components. These can all be purchased separately. Practical Safety Ltd offers advice on both first aid provision and has extensive experience at carrying out First Aid Needs Assessments. Contact Us today to discuss your requirements.